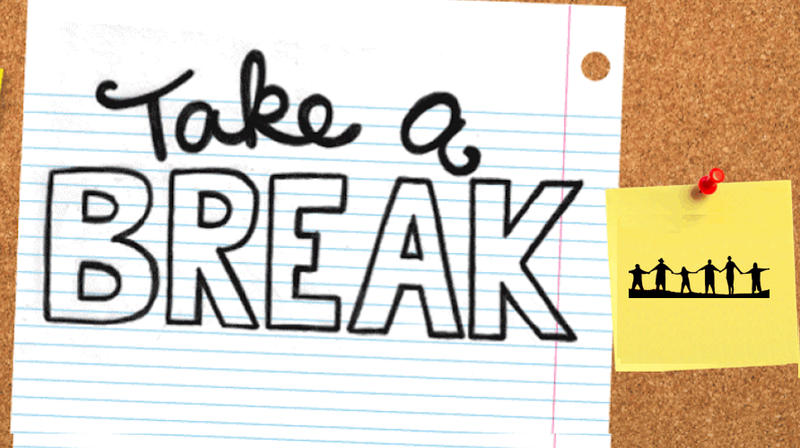 Over the past couple of weeks we have talked about different ways to think about taking a break. Have you ever taken your typical break (getting outside / creating something / spending time with those close to you) and were left, well, needing ANOTHER break? Different times call for different types of breaks. It’s important to take “each kind” of break and make time for it. If you are always making the time to take mental breaks but never making the space to be around those you love, you’ll still be fighting to feel like you’re getting the break you need. This week, we have Sheila Clark with us, sharing about the different types of breaks she really enjoys. What is that thing that you love to do? I love to read a good book, and occasionally enjoy some creative time behind a sewing machine. Why do you love to do that? My grandmother instilled the love of creativity into my life at a young age. Through the years, I’ve developed some great relationships among others who share similar hobbies. Both sewing and reading also allow me some time to disconnect from the hustle and bustle of daily life and rejuvenate. In the midst of a busy schedule, how do you find time to do it? In all honesty, I have to schedule time for these things, and it doesn’t have to be a lot of time. Reading a chapter or two at night before turning out the light, or in the morning over a cup of coffee. Scheduling a half hour in the early morning or on the weekend to work on a project behind my sewing machine. What is one tip you’d make to someone who wanted to create a little more space to do something they enjoy? It’s just as important to take care of yourself as it is to take care of others or to work through the daily agenda. I have more energy and capacity to meet the busy demands of my life when I’ve invested some time in my own self-care. This week, we’d encourage you to be a little more reflective and think about what types of breaks you do well, and what kinds you can make a little more space in your life for. It’s just as important to take care of yourself as it is to take care of others or to work through the daily agenda. We will leave you with this thought, I have more energy and capacity to meet the busy demands of my life when I’ve invested some time in my own self-care. I would guess you just felt one of two things… either thrilled excitement OR a sinking pit in your stomach. From quite a young age, we seem to “identify” ourselves as either creative or not – and it’s usually based on what we perceive our artistic ability to be. We are all creative – we just tend to think about creativity with a very narrow definition. 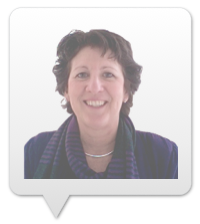 Dr. Lynne Levesque, a business creativity consultant, is known for her work in this area. Lynne identified eight different styles of creativity to bucket talent in organizations. Additional research shows that getting out of yourself and into a creative space (whether it’s painting an acrylic masterpiece or creating an entirely new organizational design) allows you to experience an expanded sense of time, become a better problem solver, and even experience stress relief. This week we have Kelly Ellis with us sharing what she loves to go to take a break with her creativity. Why do you love to do that? There’s something magical about taking something old and not so pretty, putting in a lot of hard work (and sometimes blood, sweat, and tears), and then stepping back and directly seeing what I accomplished. In my day job, it’s hard to see what’s actually been completed each day. It’s even harder to see if it’s gotten done with excellence. Lots of meetings, lots of pep talks, lots of shuffling schedules / tasks / resources. But with refinishing furniture, I get the satisfaction of seeing the direct output of my time and energy (both good and bad!). In the midst of a busy schedule, how do you find time to do it? I focus on taking baby steps toward the completion of my projects – planning out what needs to get done in large buckets first, then dissecting each bucket into smaller tasks. This means that I can complete a small task (think sanding the top of a table or taping a canvas off for painting) that takes less time than a whole bucket, but still leaves the same feeling of satisfaction of moving forward. What is one tip you’d make to someone who wanted to create a little more space to do something they enjoy? Sometimes the act of starting a huge task / project / challenge is paralyzing – even when we are doing what we ENJOY to do. By breaking your goal into smaller chunks, you’ll consistently make progress – keeping your motivation high, happiness levels up, and creativity flowing! Think about what type of creativity really excites you and find time to take a break from your normal routine and make time for it. We spend so. much. time. at. work. Sometimes it feels like there is no time for anything else… especially friendships. When you are going from work to trainings and then you have that new project added on your plate (that you kinda, really want to take on) and your friends are experiencing the same thing – sometimes making time for each other feels near impossible. Tim Leberchet, from Harvard Business Review, brought some intriguing insights into the Age of Loneliness we seem to be in. Tim had some great suggestions about how to make some more connections at work. But building relationships outside of work is important too. Even if we don’t feel like we have the time, we need those non-work related friends! This week , we have Spencer Haney with us on what he loves to do [with friends] and how he makes the time! What is that thing that you love to do? I love watching and attending sporting events. You can’t beat a good baseball game on a nice summer day! Why do you love to do that? Sports have always been a passion of mine. It’s more of my place to “get away” and turn off my brain to recharge. It’s also a great way to connect with other people, so it fulfills that need that I have to be social. In the midst of a busy schedule, how do you find time to do it? Isn’t that why they invented DVR? And yes, yes I do pay a premium to record, watch later, and fast forward through commercials. What is one tip you’d make to someone who wanted to create a little more space to do something they enjoy? Be intentional about it. Schedule time in your day or calendar to do what it is that you love and don’t be afraid to turn off your phone or leave it somewhere. This way you won’t be bothered by emails, texts, or calls. You can come back at least twice as refreshed and ready to go! So, this week, make a choice to take a break and engage in your relationship with someone you value! It seems like so many times we only think about feedback when we need to have a hard conversation with someone. Can you imagine how different your team would be if they were asking for feedback? If they gave you the opportunity to share what you were thinking or seeing? Well, to get to that place it starts with us, as Managers, to begin that journey of asking for feedback. Peter Bregman wrote a fabulous article called How to Ask for Feedback That Will Actually Help You. One of his tips was to probe more deeply with questions. Asking questions in different ways helps you to get a fuller answer – painting a clearer picture of what the other person is trying to ask for. What is one suggestion you have that I can do to better support my team? If your boss were to give me one suggestion, what would it be? What part of my leadership or management style concerns you the most? How well do you feel I communicate? What can I do to better communicate with those I work with? What specifically could I have done better on X project? Maybe one of these questions sparked an idea! So, gather up your courage and go ask for some feedback! You’ll be a better leader because of it! We’re on week two with your chatty team! Did you have a chance to reflect on some of the questions Trish asked last week? We hope those gave you a place to start. 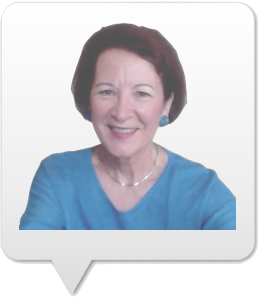 This week we’ve got Coach Sue Oliver based out of Texas on how to leverage the camaraderie of your team to get things done. “The ‘battle for focus’ is one we all wage daily. We want to motivate and inspire our teams to operate at their best; yet, there are so many opportunities for distractions. We all know a team in conflict can easily lose focus. A team that gets along well socially and has positive chemistry can also be impacted. How? The camaraderie and enjoyment of being part of a team that gets along well together can pose a challenge in getting things done. So, how do you harness the best of what a good team with positive chemistry can achieve without falling victim to unproductive distractions? One tip is to draw on the positive chemistry of the team to involve them as solution owners. At the end of the meeting or deadline set for team ideas, decide on the top few things the team can do to heighten their focus while preserving the positive atmosphere among the team. By considering the questions from Trish last week and some of Sue’s suggestions this week, we know you’ll start to see some different results soon! You’ve finally decided to connect with your team members on Facebook. And now, you get new notifications of your team members tagging each other in photos every Friday and Saturday night. You knew that they were chatty at work but you didn’t realize that all their socializing was encouraged by them hanging out together outside of work too. Sometimes, the chemistry of your team can seem to take away from their productivity. You don’t want to kill the camaraderie but your team has got to get the work done. Over the coming weeks we’ll hear from two Coaches on some strategies on how to work with your sociable team. 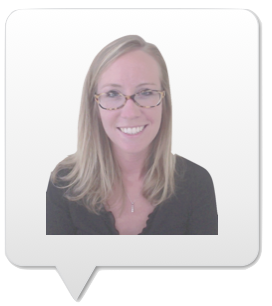 This week we have Coach Trish Brooks from Ottawa, Canada with some suggestions and questions to motivate your team so that socializing doesn’t get in the way of results. Let’s check out what Trish has to say! “This is a multi-faceted problem, and there may be several interventions that the manager must make. Today let’s look at one important one – is the team fully engaged with their job. Research has shown that the social part of the job is not a significant reason people come to a company, or stay with a company – it’s not a ‘motivator’. Employees typically leave companies (even though they have great social connections) because the work is not stimulating and they are not developing. 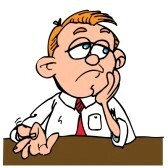 If employees are not ‘getting things done’ it means they are likely not motivated to do the work. Is the job aligned with what is important to them? Is their work interesting and are they learning and growing in their job? Are they being recognized, and feel valued? Are they feeling a sense of accomplishment day-to-day? If the answer is ‘yes’ to all of the above, then it is unlikely that socializing is getting in the way of the work. If employees are bored with the work and are not growing, then socializing will be what they do instead of work. What are a couple of recent accomplishments you feel especially good about? What part of your work interests or challenges you the most and least? What’s important to you and what do you value at work? Is there a good match between what is important to you and what this organization provides? Do you feel valued and recognized for what you accomplish here? Move people before they get bored in a job. Typically people need a new challenge every three years. Thanks, Trish! Let’s try these tactics out this week and see what we uncover. And, make sure to come back next week for some more tips!